Breakfast and brunch place always get busy on the weekend and I’m always trying to find spots that are good but not too busy. 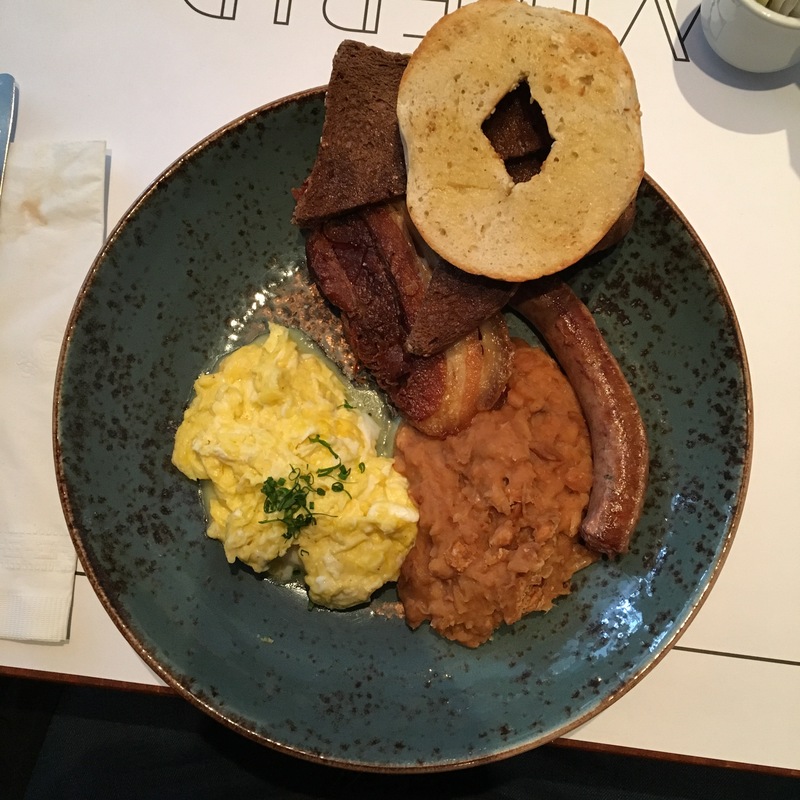 I found such a spot on Laurier, Wilfrid sur Laurier is a cool place that’s open for brunch on the weekend and lunch and diner from Wednesday to Sunday. The decor is simple but charming, I do like the mix of wood tables and brick walls as I always find it gives warmth to a place. They have several tables, a bar and a terrasse for the warmer weather. They do take reservation which is a plus also, I booked thru OpenTable as it’s an app I like to use since it’s simple and effective. Their menu has limited options but they vary offering also healthier choices. I ordered the eggs with Chipolata Sausage and Pork Belly. The sausage was quite tasteful and so was the pork belly that was also tender and juicy. It was served with baked beans and toast and it was quite filling. They also have the Chipolata Sausage and pork belly as a side if you want to try something else from their menu. The baked goods basket actually look quite good but I was not in the mood for pastries. Good option if you want a nice place to meet with friends and not been surrounded by the usual noise that come from big places. I’ll have to try their terrasse this summer as it looks peaceful been in the back of the restaurant.